The Royal Solomon Islands Police Force (RSIPF) through its National Community Policing Department has conducted crime prevention outreach meetings in communities in and around Honiara as part of its operation to maintain law and order under the current political situation. This includes communities in the Sun Valley and Lungga areas, Burns Creek, Papaho, Choviri, Mbokonavera and Kaibia. 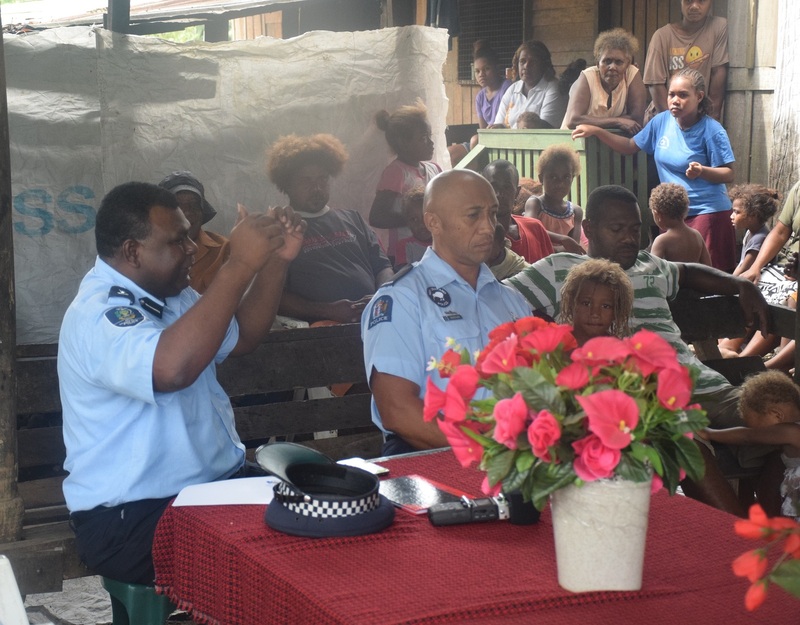 Speaking during the outreach meetings, Director of the National Community Policing Department, Superintendent Solomon Sisimia highlighted several key messages encouraging people in the communities to remain calm and continue to observe law and order as the country looks to the national politicians to resolve the current political situation. • The RSIPF continues to mount a high level operation and will not tolerate any anti-social behavior, any illegal activity or any threats of violence that would impact on the safety of our citizens or the safety of our politicians and derail the political process underway to elect a new prime minister this week. • Members of the public both in Honiara and throughout the provinces are encouraged to remain calm and go about their normal business as usual and to allow our national politicians to resolve the situation in parliament through the democratic process as required by law. • Anyone who have information on anybody who might be planning to disturb the peace to contact their nearest police station or call the police emergency toll free number 999 or 23666 Police Communication Centre in Honiara. Police will continue to visit other communities in and around Honiara in the coming days to send out the some messages.